Forty percent of patients do not recover properly after an ankle sprain. Pain, swelling, stiffness or the ankle collapsing are the common problems that can persist, even months after an injury. Proper assessment at the time of injury minimises the risk of problems later on. X-rays to rule out a fracture and then Physio treatment are important at an early stage. 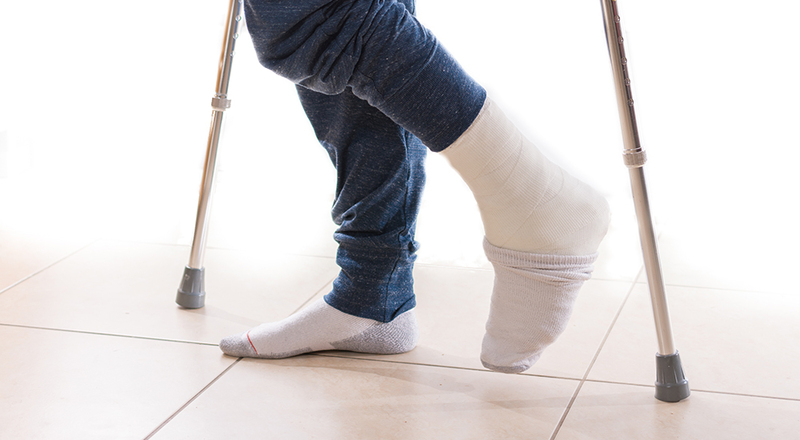 Where recovery is incomplete an expert assessment will reveal whether there is an undiagnosed fracture, damage to the surface of the ankle bone, tendon problems or chronic loosening of the ligaments. Most of these conditions can be improved on with further physiotherapy or (less often) surgery, once a proper diagnosis is reached. Enough of the right sort of physiotherapy helps many patients where recovery is slow. A proper ankle support brace may facilitate a return to sport. Where surgery is required it is usually with keyhole methods, and with very worthwhile results. The large Achilles’ tendon, at the back of your heel, can tear suddenly or become painful, stiff and swollen. Usually this is just above the heel bone, but where the tendon joins the bone can also be painful. Patients often feel “30 years older than their years” when first walking in the morning or when starting up after prolonged rest. Most patients with a grumbling Achilles complaint are helped by the right sort of Physio stretches, called Eccentric Loading. Slant board exercises are also extremely beneficial. Stubborn cases require careful assessment, an ultrasound or MRI scan and then the right form of therapy can be selected. Injection prolotherapy, Shockwave and high volume injections are all available through our unique One Stop Heel Pain Clinic where we offer assessment, scan and (often) treatment all in one visit. Posterior ankle impingement is a pinching pain that typically affects people involved in activities like dancing and windsurfing. At the back of the ankle joint and in front of the Achilles tendon is a natural spur of bone. Damaging or injuring this bone can cause the foot to hurt when pointing the toes downwards. Some people also have an extra bone at the end of this spur, called the os trigonum. Treatment options include: physiotherapy, selective X-ray guided joint injections, an operation called posterior hindfoot endoscopy (keyhole surgery to remove the spur/extra bone) or simply limiting activities that exacerbate the condition. Anterior ankle impingement is when soft tissue inflammation and/or scar tissue in the front of the ankle joint is ‘pinched’ by the joint when the foot is flexed upwards (as when squatting down) causing pain. This can also be caused by spurs of bone which develop across the front of the ankle joint after repeated minor injuries. This is called “Footballer’s ankle”. Wear and tear (very early osteoarthritis) is often the cause of these spurs, however, sporting activities can also play a part. The spurs can be painful, particularly when the foot bends upwards, for example, when walking uphill. Treatment options include injections to settle scar tissue around the spurs, or surgery to remove the spurs – an ankle arthroscopy using keyhole surgery. However, occasionally large spurs require a surgical procedure called an open cheilectomy. Regrowth of spurs is extremely slow. Through wear and tear or repeated sprains, the tendons passing behind the outside of the ankle and heel can split, fray or slip. This causes pain, swelling and even difficulty walking. Increasing sporting activities or training can cause the condition. Treatment options include modifying or reducing sports, physiotherapy. Sometime surgery to tidy up (debridement) the damage is needed. The tendons run in a tunnel and are kept there by the retinaculum, which is like a seatbelt holding them in place. If the “seatbelt” has been damaged then the tendons may pop out from behind the bone or click, by dislocating. An operation is usually advised to repair this because natural healing is generally poor. After surgery the ankle is placed in a plaster cast for 6 weeks before physiotherapy is commenced. The subtalar joint is just below the ankle joint. It is the joint that allows the foot move from side to side, and is especially important when walking on uneven ground like cobblestones. It can develop arthritis, causing pain usually felt on the outerside of the ankle. While symptoms may improve with time, anti-inflammatory painkillers, physiotherapy and selective X-ray guided joint injections can all be helpful. 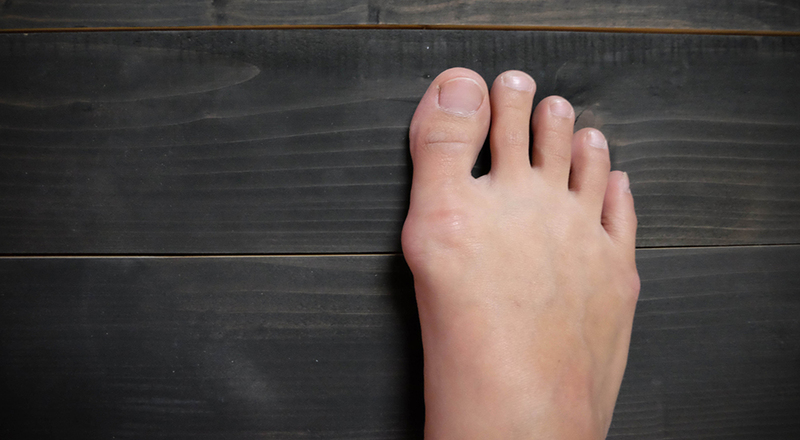 If these treatments are unsuccessful, a subtalar joint fusion operation (arthrodesis) welds the joint shut and is an excellent way of abolishing pain. Recovery is, however, very long and so surgery like this – although very effective – is a last resort. Ruptured Achilles tendon is a condition that usually affects people in their mid-thirties/forties. It is particularly prevalent in sports people, both unconditioned and elite athletes. The rupture usually occurs during activity without warning. A loud snap may be heard. People can still walk and move the ankle, which may confuse A&E staff. Treatment is either with a plaster and crutches or with an operation. The benefits of an operation include a lower rate of re-rupture and the opportunity to re-tension the tendon. However, patients need to consider the risks involved with surgery. Any delay in diagnosis or casting may mean that an operation is required, rather than optional, so prompt and expert assessment is recommended. Tendons are sinews running from the end of muscles to bones. They act as a rope on which the muscle pulls to move the bone. Injury or wear and tear can inflame the tendons causing pain, swelling redness and walking problems. Sometimes it is misdiagnosed as a skin infection (cellulitis). Typical causes are wearing incorrect sports footwear (training errors) and being ill-prepared for a particularly intensive training programme (overtraining). A scan such as an ultrasound or an MRI is useful for confirming the diagnosis and assessing the severity. Activity modification and physiotherapy can help but recovery is often slow. Some patients may be suitable for targeted tendon injections. Inflammation of the fibres attaching muscles to the edge of bones in the leg can cause pain along the shin. We often diagnose this condition without tests, however, scans may occasionally prove useful. The condition is related to athletic activity and may be brought on by a sudden change in shoes or training regime. Treatment options include rest, avoiding sporting activity and rehabilitation with physiotherapy. Abnormal foot posture needs to be identified and sometimes corrected with appropriate orthotics. During our assessment we also typically check for chronic compartment syndrome and stress fractures. 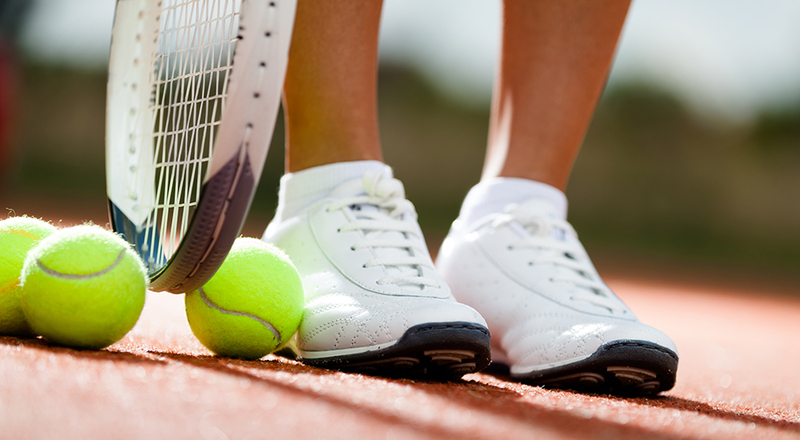 Shin pain during sporting activities is known as shin splints. Two of the commonest causes are traction periostitis and exercise-induced compartment syndrome. The former is felt along the inside edge of the shin bone and aches for a while after stopping the activity. The latter causes cramp-like calf or shin pains at a predictable running distance or time, which tend to improve fairly quickly upon stopping. Shin pains which occur suddenly and persist, preventing any further participation in the sport, might indicate a hairline stress fracture through the shin bone (tibia). Chronic compartment syndrome is due to activity related muscle swelling causing the muscle to become tight beneath the tough fascia (a layer of gristle beneath the skin) causing shin pain. We may diagnose the condition without tests however, specialist testing equipment to measure the pressure in the muscle is useful if there is any uncertainty. When assessing shin pains it is important to consider every possible cause and make a precise diagnosis. For example, a slipped disc or arthritic spur in the spine resulting in pressure on the nerves (radiculopathy) and sciatica in the leg, perhaps with little or no pain in the back itself, is a potential “catch”. Careful clinical examination and tests will provide the answer. If moderating activities, physiotherapy and/or orthotics are unsuccessful in alleviating the symptoms then occasionally surgery is needed and can provide excellent relief. Results are best when a firm diagnosis has been established. Thank you so much for all the support and advice you gave me for my ankle. It is now feeling great. based at the Mount Alvernia Hospital. Open Monday to Friday, 8am to 4.30pm.